You see, a few decades ago Hilary experienced employment discrimination firsthand as a young Jewish woman. Later she was involved in efforts such as the Nizkor Project, which keep the memory of the Holocaust alive in this Internet age. So the notion that anyone would dismiss her concerns about anything by equating her with a Holocaust denier is beyond repugnant. But that is the world in which we currently live. In response, each of us must do our best to shine light into dark corners – to illuminate what some people would prefer to keep hidden. Which brings me to Hilary’s lonely campaign to secure a satisfactory explanation regarding the missing submissions to last year’s InterAcademy Council (IAC) examination of the Intergovernmental Panel on Climate Change (IPCC). Please read her blog posts here and here. Except that it wasn’t. Hilary asked about it and was advised the information would be released soon. Except that it wasn’t. In October she was once again told it would be soon. But that didn’t happen, either. During November and December her follow-up inquiries were ignored. Finally, she wrote directly to Harold Shapiro, the head of the committee that authored the report. Neither he nor anyone else chose to respond to her directly, but a 678-page PDF was quietly added to the IAC website in late December. In my view, the contents of that document rival Climategate in their significance (for further elaboration on that point, please see here). The problem, though, is that the submissions of only 232 people are included. Since we’ve been told there were more than 400 it would seem that nearly half have not yet seen the light of day. Why not? And why won’t a single person respond to Hilary’s request for clarification? If the report was mistaken about the total number of submissions, why doesn’t someone just say so? Whatever the explanation turns out to be, it’s surely preferable to stonewalling. The IAC report was a serious attempt to grapple with important IPCC deficiencies. The point of that exercise was to restore public trust and confidence. And let us not forget that it cost a million dollars. It would be a shame if the entire endeavour were now to be discredited. Readers may wish to send one of these people a note. If so, please honour Hilary’s efforts by being polite and professional. 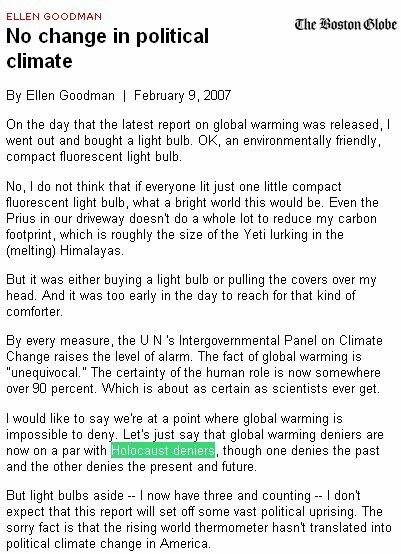 This entry was posted on March 21, 2011 by Donna Laframboise in climate bible, IPCC, IPCC Insiders In Their Own Words and tagged climate bible, Harold Shapiro, Hilary Ostrov, InterAcademy Council, Intergovernmental Panel on Climate Change, IPCC.